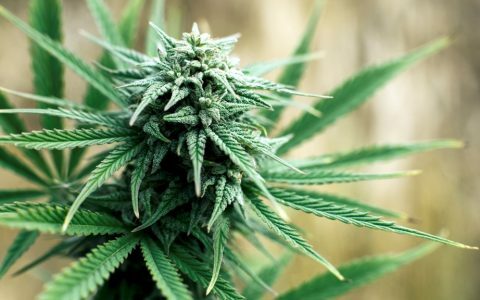 All cannabis strains are not created equal. 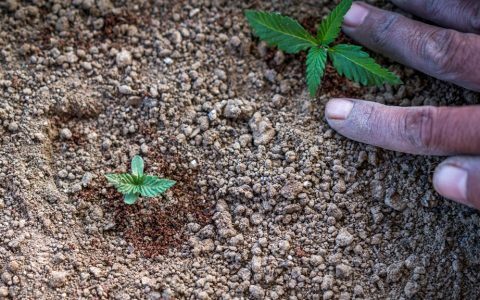 Because of this, it’s important for novice growers to consider which strains might be best as they develop their skills in the garden. 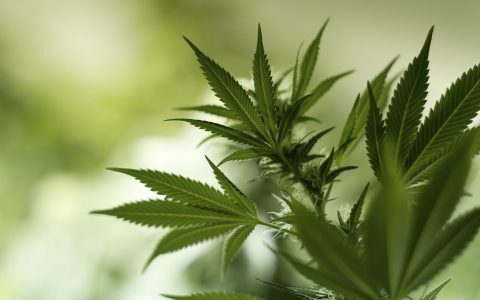 Some strains exhibit better resilience to drought, mold, disease, and insects. Others require less nutrients than others. 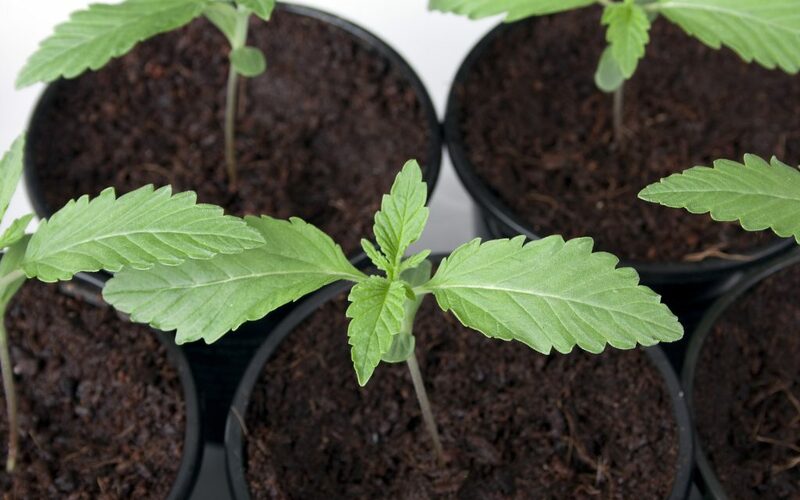 As a beginner grower, it’s best to steer towards genetics that are more forgiving and easier to find while still offering high yields and a quality product. But where to start? 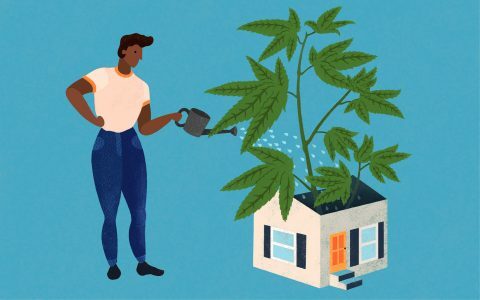 These five strains are known to demand less than some of their pickier, more finicky ancestors, and they tend to be easier to grow. 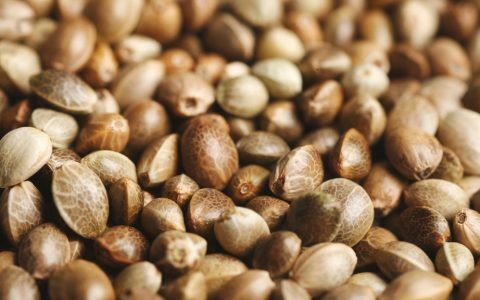 If you’re a beginner grower, consider locating seeds or clones of the following cannabis varieties. The most popular strain among consumers, Blue Dream is also a great strain for novice growers. Its effects strike a balance between physical relaxation and a mellow, blissful high. These light-footed qualities make Blue Dream a popular choice for daytime relief of aches, pains, and bad moods. Clones and seeds of this California-bred hybrid are easy to find, given the strain’s widespread popularity. 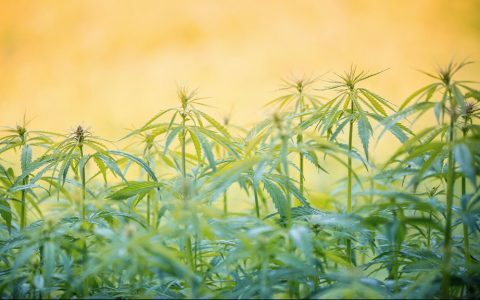 Blue Dream is also great against powdery mildew and root rot, which make up two of the most common issues found in a cannabis garden. 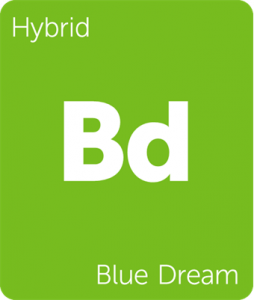 Though Blue Dream is one of the most common cannabis strains out there, it’s for a reason. This classic strain has a lot to offer to any consumer and grower as a high-yielding, potent varietal with approachable effects and an enticing berry flavor. Green Crack is another California strain great for those trying to find their green thumb. A long-standing popular strain in the outdoor California scene, Green Crack is a fantastic choice for anyone seeking a strong sativa-dominant plant. The sweet citrus aroma and high-energy effects of this strain blend perfectly, giving rise to an uplifted, motivational high. 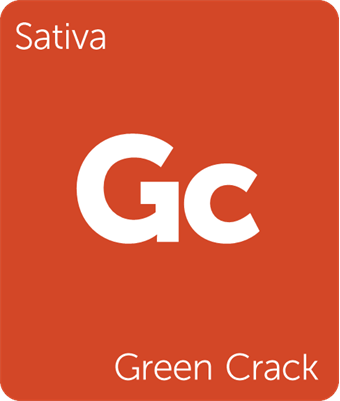 While most sativa strains are difficult to grow due to their long flowering time and upward stretch, Green Crack is one that can be managed. Its sativa traits stand strong in the strain’s upbeat effects, but its indica genetics give it a quick flowering time and improved yields. Unfortunately Green Crack is a clone-only strain, making it a little more difficult to find, especially outside the West Coast. A hybrid strain with an aroma as strong as its euphoria, GG4 is a great choice for the novice grower looking to cultivate a sedating, flavorful strain. The genetics were developed by GG Strains and took the world by storm in 2014 after winning multiple Cannabis Cups. GG4 has a very bushy growth pattern, making it an ideal strain for anyone looking to grow in a small space and explore the screen of green (SCROG) technique. Generally speaking, this strain offers up a lot of bang for its buck by producing a quality product without having to worry too much about specific nutrient needs. Also, due to its heavy resin production, this plant is a great option for those wanting to explore concentrate and hash production with their trim. The only concern are the groans that will come from trimmers as their scissors gunk up almost immediately. 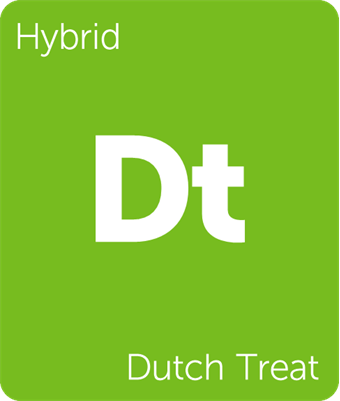 Dutch Treat is a classic strain hailing from Amsterdam that has made its way around the world, landing predominantly in the Pacific Northwest. It’s a sweet-tasting hybrid that lands on the indica side of the spectrum while still holding onto its cerebrally activating effects. Like GG4, Dutch Treat is a great indica-dominant plant for growing indoors. It offers high yields and a quality product that presents a uniquely candy-like aroma. If you’re a gardener in the PNW, this should be an easy strain to find and a pleasure to both grow and consume. Cinex is a sativa-dominant strain that can offer a THC level up to around 22%. 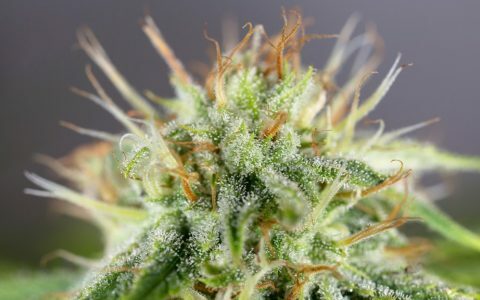 Its genetics come from Cinderella 99 and Vortex, inheriting a high-energy euphoria that feeds creativity and productivity. Cinderella 99’s genetics have always been well-known for offering high yields, bushy plants, and high THC levels. Vortex is a sativa-dominant strain cherished for its intensely euphoric traits. The two combined results in a sturdy strain perfect for novice gardeners looking for something different. 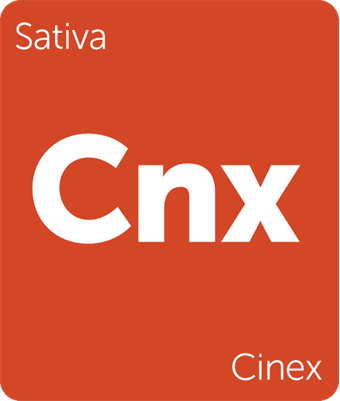 Because of its Cindy 99 genetics, Cinex is suitable for the SCROG technique in smaller spaces while still offering quality sativa effects. Cinex is also armed with mold and mildew-resistant genetics, allowing more room for error. What’s the first strain you ever tried to grow? Would you recommend it to a first-time grower? 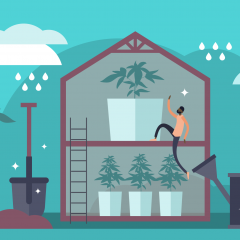 Share your “first grow” story in the comments section below, so other blossoming farmers can learn from your experiences. 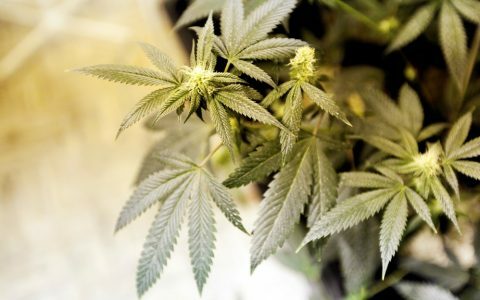 I love most of your articles but have to mention that green crack is not a clone only strain. 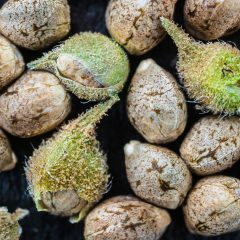 Seeds are available from the Humboldt seed organization. Autoflowers are the easiest. They’re very disease resistant, can be grown in cool or warm climates, and you simply plant a seed in a 3-gallon fabric pot and give it 12 to 24 hours of light for two to three months. But of course not all autoflower strains are really tough. Green Crack auto is pretty tough. Grapefruit auto is tougher. Mohan Ram auto is pretty good. And of course there’s Lowryder. 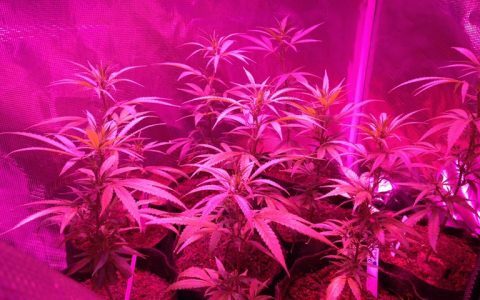 Southern Oregon grower here(30+years exp). Blue Dream is very easy to grow, the only difficulties may lay in it’s tendency to double in size every couple weeks, what a problem to have! 😉 Quite mold resistant, and I let mine go to Halloween, branches may need to be supported if grown in the rain or a windless green house. I’m growing Cinex this year, it should be a great plant. Gorilla Glue #12(GG4xChernobyl) is a great plant to beat the mold season in Western Oregon, the crustiest thing I’ve ever grown and finished before the end of September. A great Sativa high with overwhelming quantities of vapor from my 7th Floor Vape. I can’t believe this clone hasn’t made the big time main stream yet! Sounds like a good mix. Some TGA and GG4. I’m not a sativa fan, but GG4 has medical benefits that help me and doesnt give paranoia like many sativas. Hope this cross treats you well! I got strain called Dakini Kush going now. Pre 98 Bubba x Hindu Kush. I am a indica user as I have bad chronic pain, Insomnia, PTSD, anxiety, panic, and other things. I can’t say it’s easy as it’s one of the most picky strains I have grown. 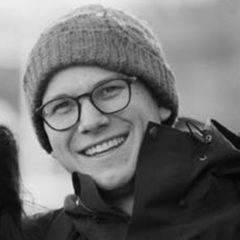 Anything out of range and it gets problems. I love it though! 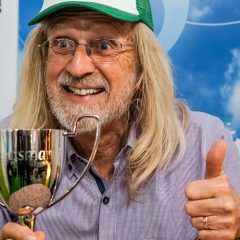 Hope you enjoy that GG4xVortex! Blueberry Jack was easy and potent as all get out. I went from September to March. And had a excellent harvest. Little over a pound . Beautiful pinks and purple and deep green. 4 ladies did me right. THC levels are the same as CBD for why I started with this strain.Great for anyone who needs medication. Levels are 50/50 about 23%. Indica dormant strain . Dutch Dope. I’m about a month away from being ready for my first grow, indoor with an Optic 4 LED. I chose White Widow auto for my first attempt, I plan on 4 plants if all goes well from the seed. Once spring comes I also plan on trying an outdoor grow, not sure yet what strain I’ll try for that. Thanks for all the informative articles, very helpful to a beginner like me. Hey how is your grow going? 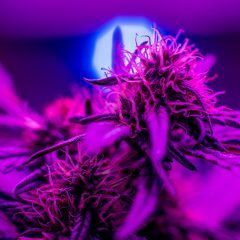 The first plant/plants i grew was the N/L Northern Lights, its a hearty plant that is very forgiving as long as your still in veg anything after and like other plants/strains it will affect your outcome. IS IT TRUE IT ONLY TAKES 2 MONTHS? 2 months to veg yea, 2 months to dry n cure yea but 2 months from seed to smoke nope. Can’t someone stop this pootery and snicklefartz before we bust a move or golden goat, huh ?